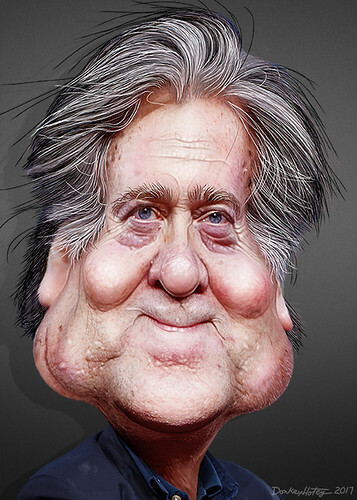 Stephen Kevin Bannon, aka Steve Bannon, was named by Donald Trump as his chief strategist and Senior Counselor. Bannon is a former Goldman Sachs investment banker and executive chair of Breitbart News LLC. This caricature of Steve Bannon was adapted from a Creative Commons licensed photo from Michael Vadon's Flickr photostream.